The practice of mindfulness can help us to lead happier and more harmonious lives. By being kinder and more compassionate towards others and having more awareness of our thoughts and actions in the world, we can become better people. Mindfulness is all about bringing more awareness to your everyday life and a sense of living in the moment, whether it’s when you’re driving to work, having a conversation with your colleagues or cooking dinner for your family. It’s about developing a sense of connection to the experience you are having right at that moment, and letting go of any worries or stresses your might have about the past or the future. 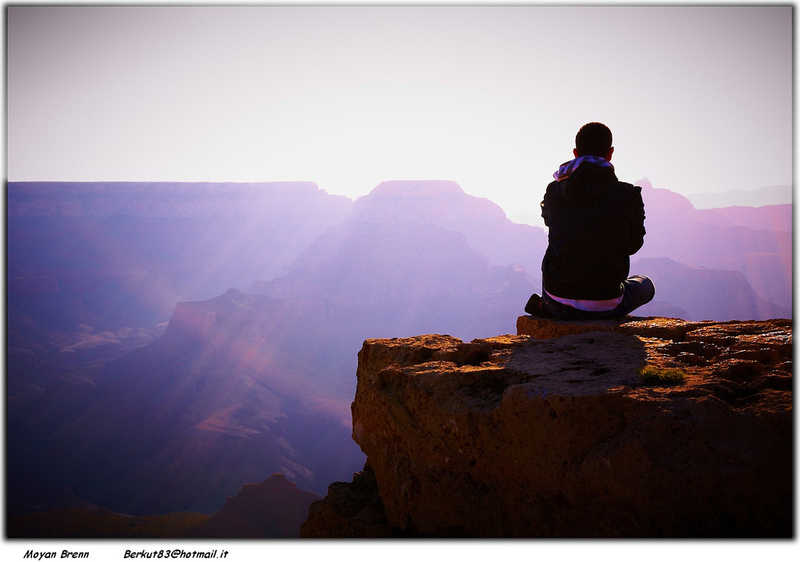 Practising mindfulness can help to bring more meaning and a sense of purpose to your life. Perhaps if we all lived more mindfully the world would be a better place! When you’re having your morning shower, instead of thinking about the day ahead, pay attention to what’s going on in the present. Be aware of how the water feels on your skin. Notice the scent of the shower gel. How does your scalp feel as you wash your hair? If you find yourself thinking random thoughts, just gently bring your attention back to the present moment without judgement. Although this may feel strange at first, with a little practice, mindfulness can help you to enjoy the little things in life more. If you get the bus or train to work, take the opportunity to really focus on the moment. Resolve to notice an object of beauty on each journey. This could be a building, a sculpture or an advertisement. Take a moment to think about the person who created that object and appreciate the skill and effort that went into creating it. Practise mindful eating. Many of us don’t take the time to really appreciate our meals, instead grabbing a sandwich at our desks or eating while we’re driving. This can lead to digestive problems as we are not giving our bodies enough time to break down the food we eat. If you normally eat whilst reading a book or watching TV, turn the TV off and put the book down. Focus your attention on the act of eating instead. Enjoy the flavours and the texture of the food. Think about where it’s come from and who has prepared it. When you’re stuck in a queue, instead of getting stressed or annoyed, take the opportunity to focus on your breath and how your body is feeling. Are your muscles feeling tight? Are you holding on to any tension? What can you do to make yourself feel better? Whenever you walk anywhere, pay attention to how the ground feels beneath your feet, or how the scenery around you looks. What can you see? What can you hear? Can you smell anything? What is the air temperature like on your skin? Every hour stop for one minute and just focus on the present moment. It can be so easy to get completely absorbed in a task that you forget about the here and now. Why not set yourself a reminder to do this? One minute out of the hour isn’t too much to spare and just giving yourself a quick break will help you to feel refreshed and calmer. It contains a neat introduction to mindfulness, especially for those who are not familiar with the concept, and it’s also an awesome practical guide to include mindfulness in our everyday lives.